This week I am participating in the 6th Around the World Conference organized by the Kule Institute for Advanced Study. This e-conference (electronic conference) is on Sustainable Research and we have a panel on a different topic every day of the week. (If you miss a panel, check out our YouTube channel.) Today we had a fabulous panel on Art and/in the Anthropocene that was led by Natalie Loveless and Jesse Beier. You can see some thoughts on the e-conference under the Twitter hastag #ATW2018, which we share with the American Trombone Workshop. One of the problems with e-conferences is that they are local for everyone which means that everyone tunes in and out depending on what they have scheduled rather than devoting the time. When you fly to a conference you can’t be expected to leave the conference for a meeting, but when a conference is local or online we tend to not pay attention as we would when afar. This has to change if we are to wean ourselves of flying any time we want to pay attention to a conference. We have to learn to be deliberate about allocating time to an e-conference. We have to manifest attention. The Artists is the story of the creators that were at the forefront of the early video game revolution. It explores the first three decades of video game history. I just finished watching the CBC TV series, The Artists – Season 1. This is a series of short (9 – 12 minute) video essays that you can watch off the web. The series focuses on the issue of game designers as artists and starts and ends with an early and influential ad, We see farther, that EA (Electronic Arts) ran that showcased their developers, something other companies (like Atari) didn’t do. The CBC series is well done, though I find the shorts too short. I wish they lingered a bit more over the clips of games and other historic materials. The kinetic style of the shorts may suit the medium, but not the history. My other gripe is their choice of game designers to feature. There are no Japanese game designers. In fact, it is as if no one outside of the US and Canada designed games at all. They could have also covered some influential women designers like Brenda Laurel. What is great, is episode 9 on Bioware (and Edmonton!) I didn’t realize that Greg Zeschuk, one of the founders of Bioware, started the Blind Enthusiasm Brewing Company which has a beer brewery and restaurant near my house. 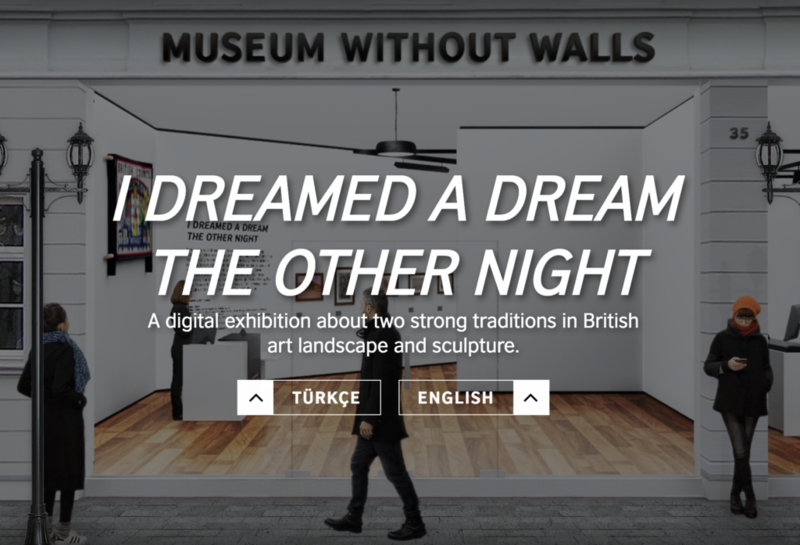 The British Council has developed a bilingual (English/Turkish) digital exhibit of British Art. The exhibit remediates the gallery/museum as interface, which is not new, but the designers have included other visitors moving around, looking at art and so on. It gives it a more human feel. That said, I found it harder to actually get to the art. I couldn’t move from painting on the wall to the next one without stepping back and then in. The New York Times has a video series called the Retro Report. One story is about Dungeons & Dragons: Satanic Panic. It looks at the media fed moral panic that eventually lost steam. It ends by praising all the “leadership” and “moral” skills learned. Now experts are recommending “free play” and … ironically … role playing games are now the solution! The folks at the University of Western Sydney have now put up the keynote talks from DH 2015. See Digital Humanties Conference 2015 – YouTube. I particularly recommend the two Keynotes by Jeffrey Schnapp and Genevieve Bell. You can see my conference notes here. I was part of the panel on Building Communities and Networks in the Humanities . This program is only for “copyrighted content related to game titles specified by Nintendo”. This is probably because Nintendo has to be careful to not be seen as making money off playthroughs of other publisher’s games. Fair use. Is a screen shot or a whole series of them that make up a playthrough covered by “fair use”? My read is that the publishers think not. Publicity from Playthroughs. YouTuber’s like PewDiePie who post Let’s Play videos (and make money off their popular channels) argue that these videos provide free exposure and publicity. New Economic Models for Gaming. Is Nintendo exploring new economic models tied to their copyright? Nintendo has been suffering so it makes sense that they would try to find ways to monetize their significant portfolio of popular game franchises and characters.